Provide comfort for the family of Vaughn Atkins with a meaningful gesture of sympathy. 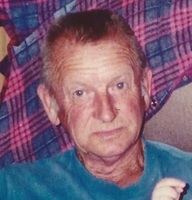 Vaughn Everett Atkins-age 77 of Maynardville, born May 29, 1941 passed away Wednesday evening, January 30, 2019 at Parkwest Medical Center. Preceded in death by wife, Helen Bates Atkins; son, Jeffrey Atkins; parents, Andy and Emily Inklebarger Atkins; brother, G. M. Atkins. Survived by sons, Chris and Greg Atkins, both of Maynardville; daughters, Kitty Hensley and Greta Atkins, both of Corryton; Sister, Andra Atkins of Luttrell; grandsons, Joe and Isaac Atkins, Derrick Hensley. The family will receive friends 5-7 p.m. Friday, February 1, 2019 with funeral service to follow at 7 p.m., Cooke-Campbell Mortuary Chapel, Rev. James Whitson officiating. Interment Pleasant View Cemetery, Maynardville. Family and friends will meet at the graveside 10:45 a.m. Saturday for 11 a.m. graveside service. Pallbearers: Family and friends. Arrangements by Cooke-Campbell Mortuary, Maynardville. Interment 11 a.m. Saturday, February 2, 2019. Family and friends will meet by 10:45 a.m. Saturday at the cemetery. Provide comfort for the family of Vaughn Everett Atkins by sending flowers. I'm sorry for your loss may you find comfort in Jehovah's promise at John 5;28,29, for more info jw.org.